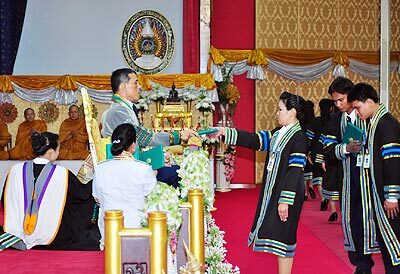 His Royal Highness Crown Prince Maha Vajiralongkorn represents HM the King at the graduation ceremony for Uttaradit Rajabaht University students, held recently at Chiang Mai Rajabhat University’s conference hall. 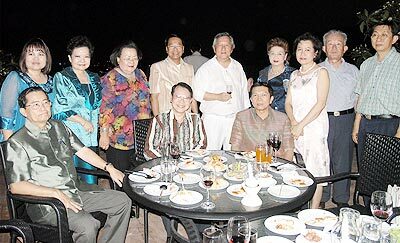 Rooj Changtrakul of the Rachamankha Hotel (seated right) enjoys a recent night out with his staff and friends at the Tamarind Village Hotel. Jonas, Warrawitt, Jessica and Adam relax at the Glass Onion. Chathree (2nd right) and friends show off their manicured pooches at the recently opened ‘Dog Hub Grooming and Spa’ off Nimmanhaemindha Road. 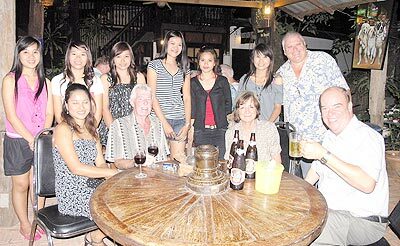 The Pub on Huay Kaew Road was the place to be for the first of the year’s Garden Parties, held earlier this month. Brent, Kit, Pop Areeya (a visiting celebrity from Bangkok), Danai, Karin, Annie (hostess), and Putt enjoy the Happy Hour at Su Casa Tapas Bar. Dang Rosedis (2nd left) entertains some companions at the Chedi Hotel. Wachara Tantranont (centre) hosts friends at the new Xanadu Restuarant on the roof of Hillside 5. 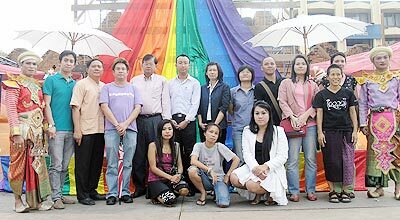 MPlus held a mini rally at Thapae Gate on April 21 to remember February’s failed Gay Pride event. 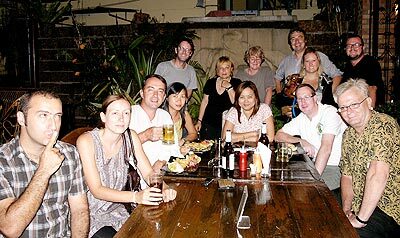 Monday Quiz Night at Tuskers Bar & Grill. 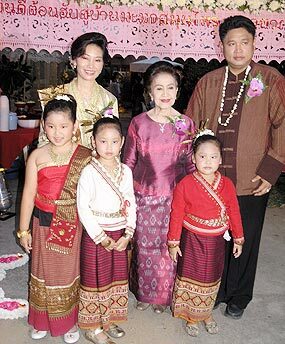 Chao Dr. Duengduan na Chiengmai is welcomed by Pollapat Kantaputra and his wife Prarichart and their children at the opening of the new ‘Baan of Mamar’ herbal hair treatment salon on Nimmanhaemindha Soi 17 on April 21.